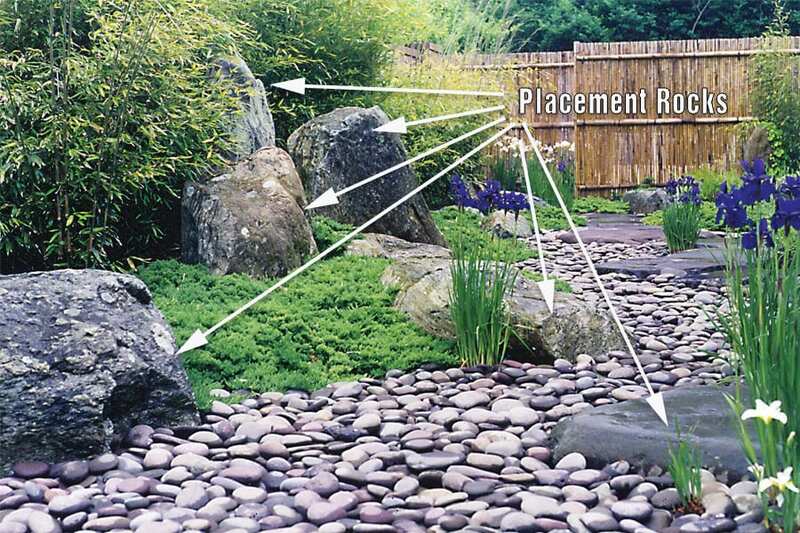 Placement Rocks are rocks used as sculptural elements in a landscape. 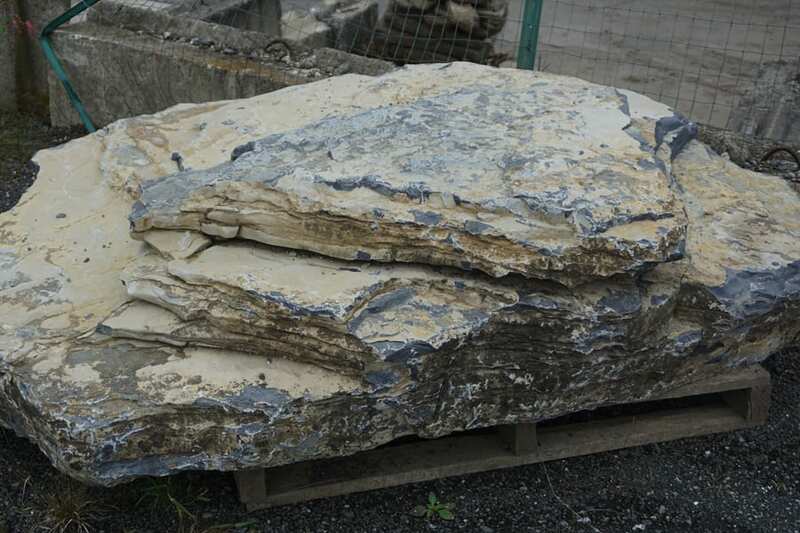 This unique Landscape Stone is also called accent rocks or specimen rocks. 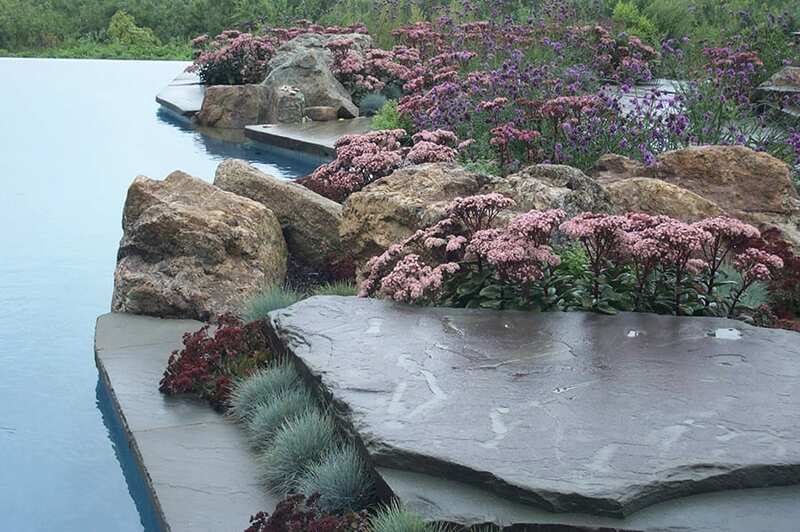 They can be used as alternatives to plants, mulch or grass to add a natural, sculptural statement to any landscape. 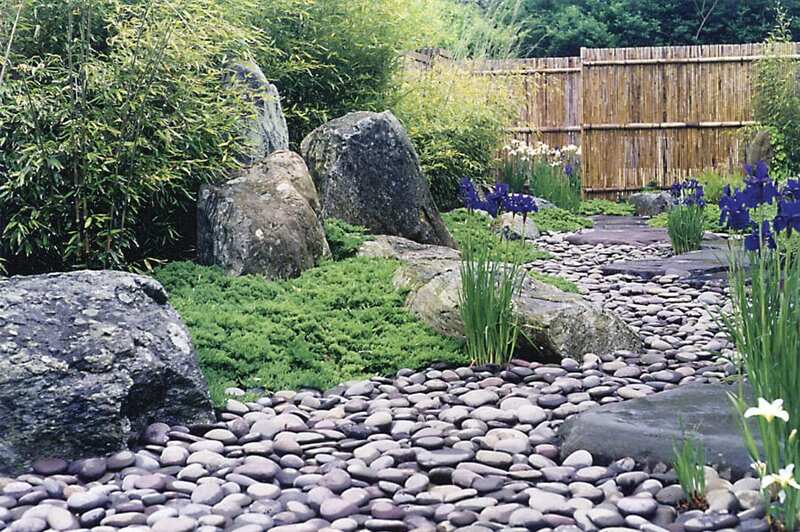 These rocks are used along a walkway or patio, in a planting bed, along a pool edge, in a dry stream bed or water garden. They can also be used to direct or restrict vehicular traffic along roads, parking lots and driveways. 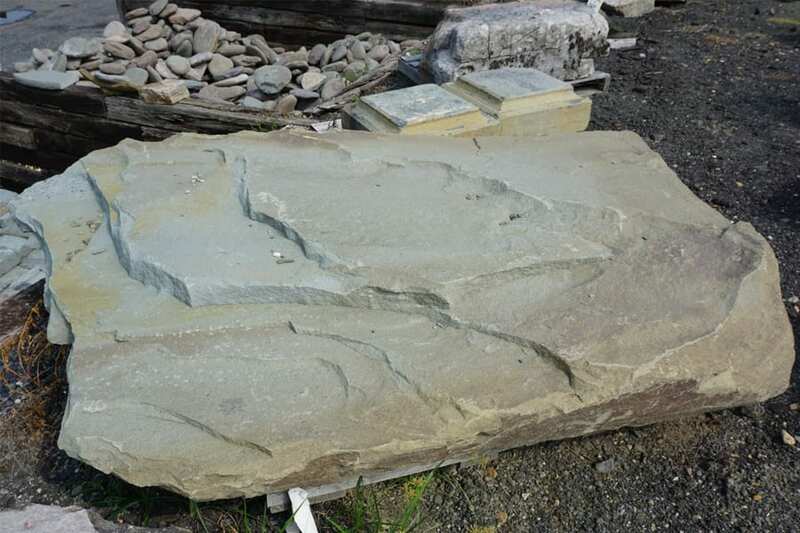 At Wicki Stone we are always on the lookout for rocks of unique beauty that can serve as sculpture. 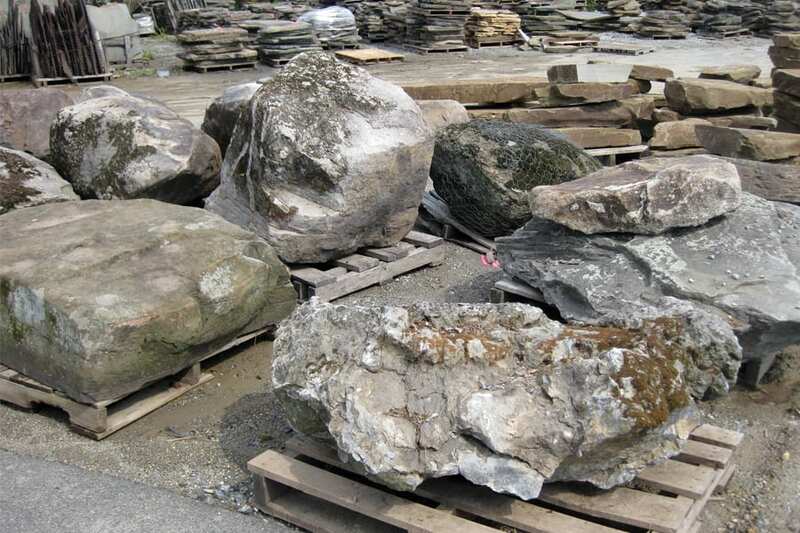 We stock a large and constantly changing inventory of these rocks from modest sized to very large. It is a fun section of the yard to tour. 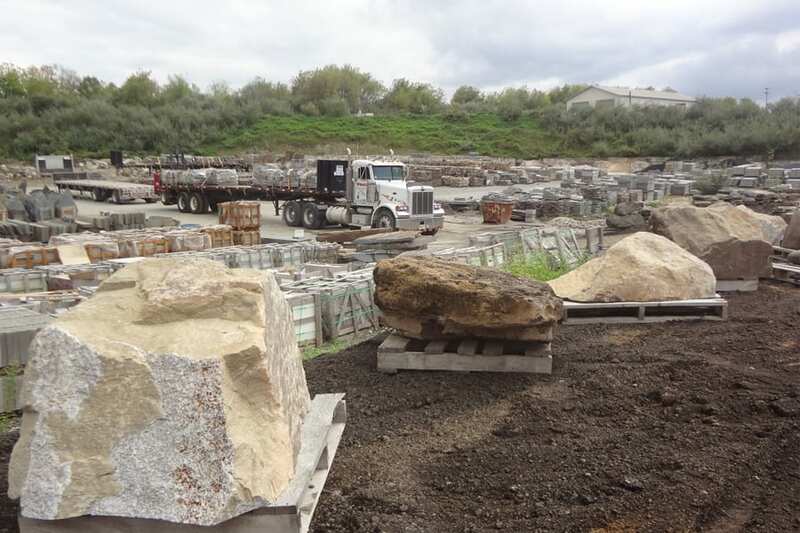 Photo examples of how placement rocks are used in landscapes are shown below, as are examples of these rocks in our New Jersey stone yard. Example of sculptural placement rocks used alongside a walkway. Close-up photo of an individual placement rock. It shows how textured, irregular and unique a placement rock can be. 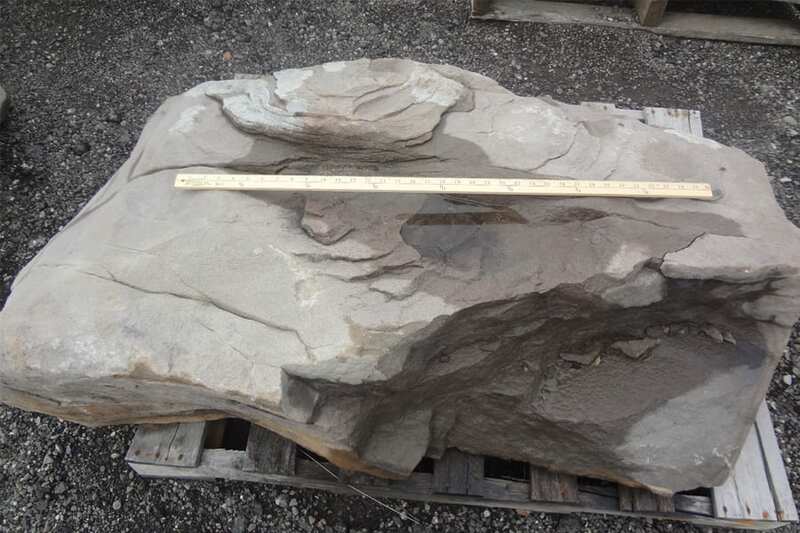 This particular stone could also be used as a spill rock to allow water to cascade down in a water garden or waterfall. Placement Rocks. 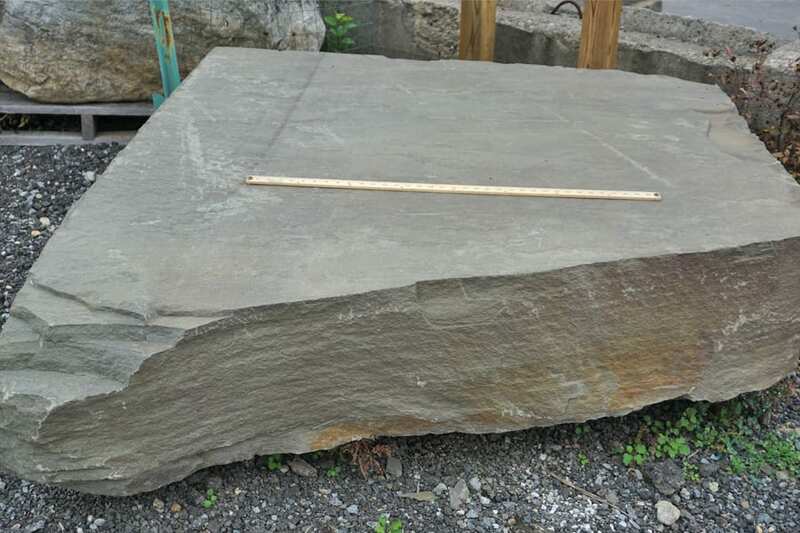 We carry placement rocks in many different types of stone including Bluestone, Karney®, Rainbow and more so you can specify Karney Placement Rocks, etc..
Stone picked for uniquely sculptural, colorful or even historical significance. Used as sculptural elements in a landscape. 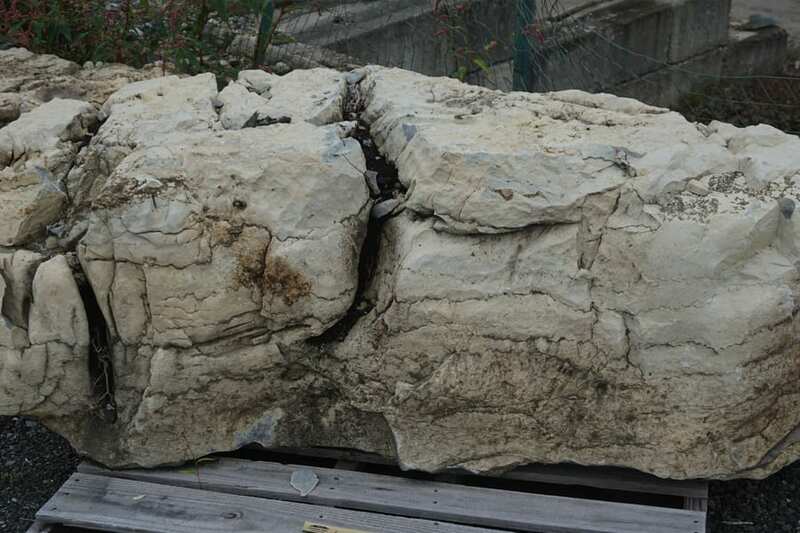 Unlike plants rocks will never die, require no maintenance and will last for millions of years. 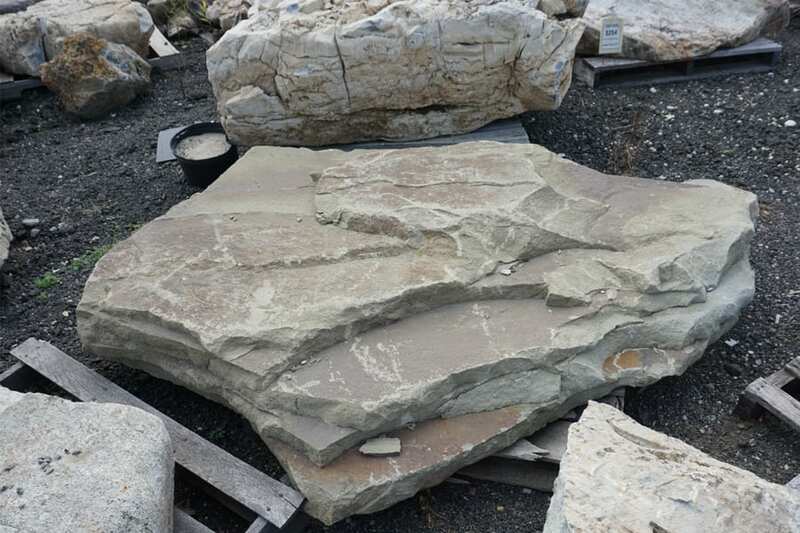 Depends on the stone but most placement rocks are either some variation of gray our brown with the exception of Rainbow which has southwestern colors. 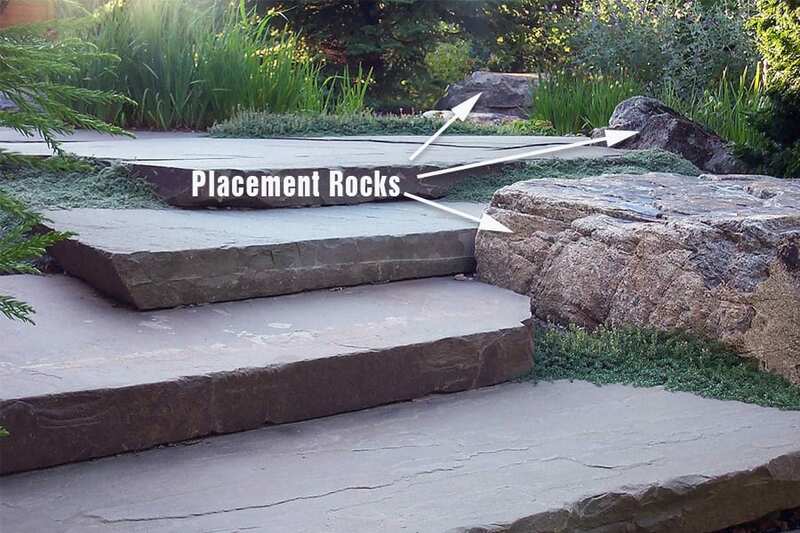 Placement rocks are most often completely natural stone found in fields or quarries that are not processed in any way. 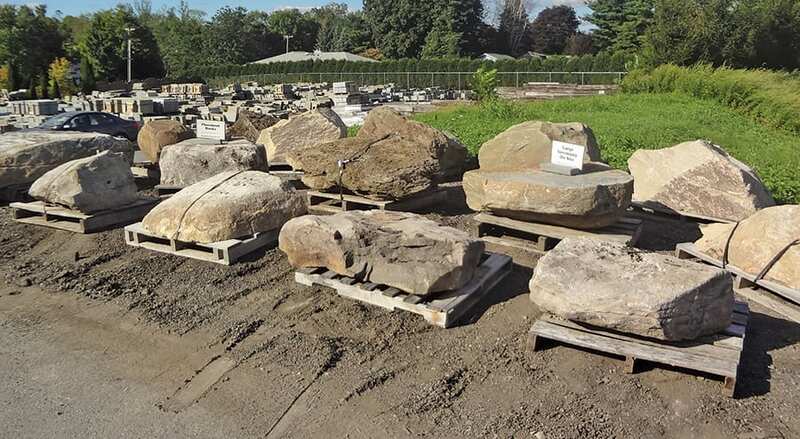 However, we occasionally get historical architectural pieces like columns, pedestals, etc, that we display and sell from our placement rock areas. These pieces typically are sculpted by the human hand in some way. Depends on the piece. 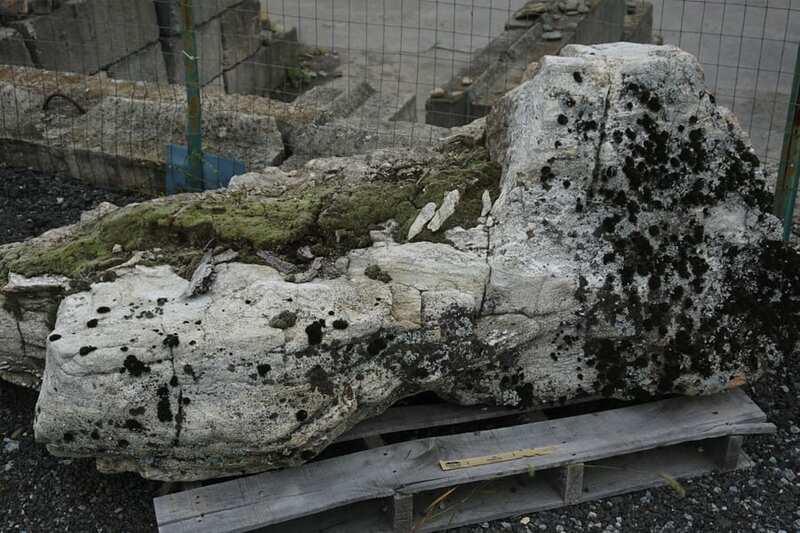 Placement rocks can be very small and easily moved by one person, but far more typically they are large, sometimes very large and must be moved by a machine. So coverage depends on the piece. 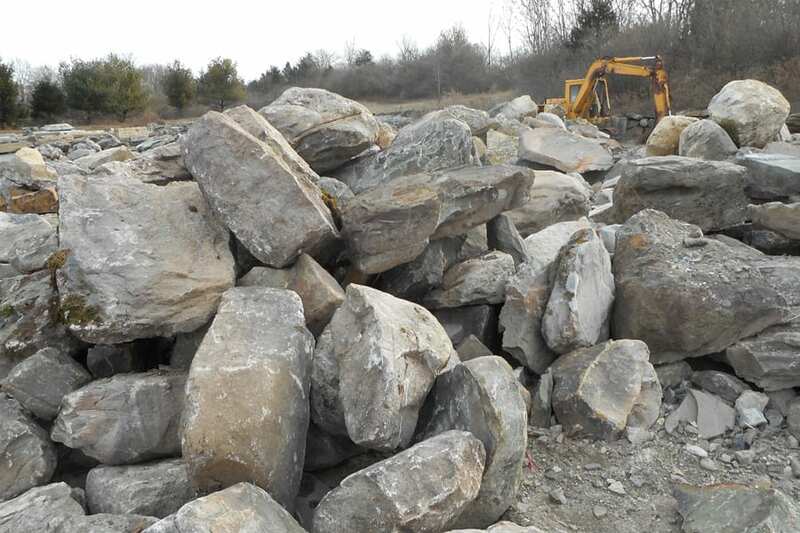 Our on-site boulder piles can be a source for placement rocks. You pick your favorite boulders. More specimen rock examples. Every piece is distinctly different and it can be real fun picking your unique stones. Accent Rocks don't have to be large, but they often are.